The top 10 percent students academically in each class at Dexter High School were honored this week at DHS. Their photos and names are provided herein. The annual Top Ten Percent Honors Banquet was held Tuesday night at Dexter High School. The top ten percent of each class is recognized with a certificate, medal, and meal provided as a join effort between the Dexter Public Schools and the Dexter Chamber of Commerce. Tuesday night's keynote speaker was Chris Christian, a 2005 graduate of DHS, who is now a member of the Missouri Highway Patrol stationed in New Madrid County. 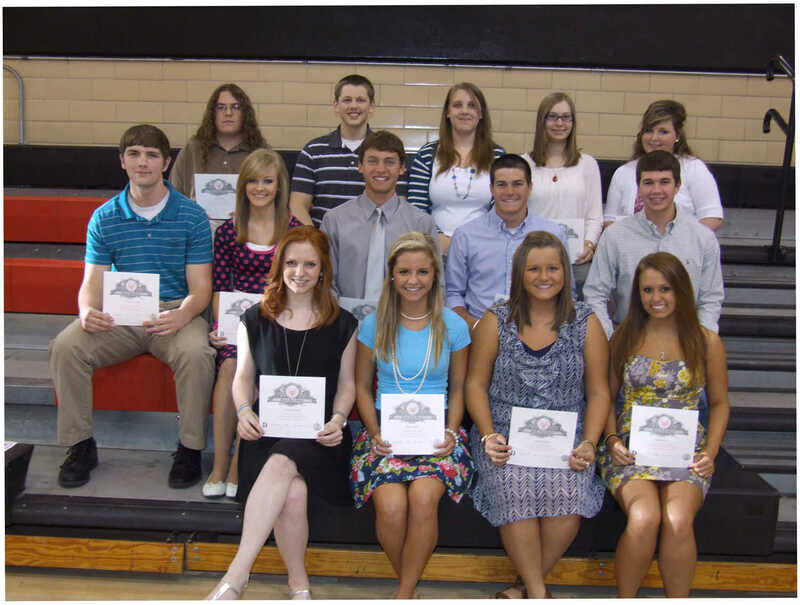 The top ten percent of the senior class include front row from left Sydnie Rinehart, Lauren Ward, Taylor Hueckel, and Jamie Manuel; second row Brandon C. Moore, Leah Noyes, Tyler Miller, Owen Flowers, and Dalton Putnam; back row Tyler Chapman, Jacob Stephens, Shelby Chappell, Emma Powell, and Lauren Dudley. 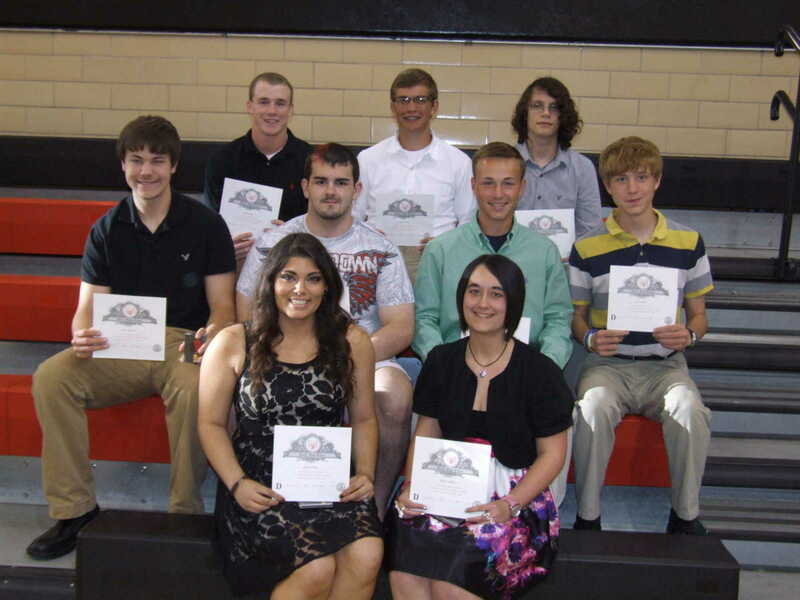 Juniors ranking in the top ten percent include front row from left Kaitlin Viers and Jessica Loflin; second row Tyler Wilson, Damian Glasener, Joseph Greer, and Alex Rybolt; back row Chase Young, Sam Ward, and Logan Webb. Not pictured are Katlyn Brown, Katelynn Frazier, Ryan Joyner, Natalie Parrott, and Courtney Rasor. 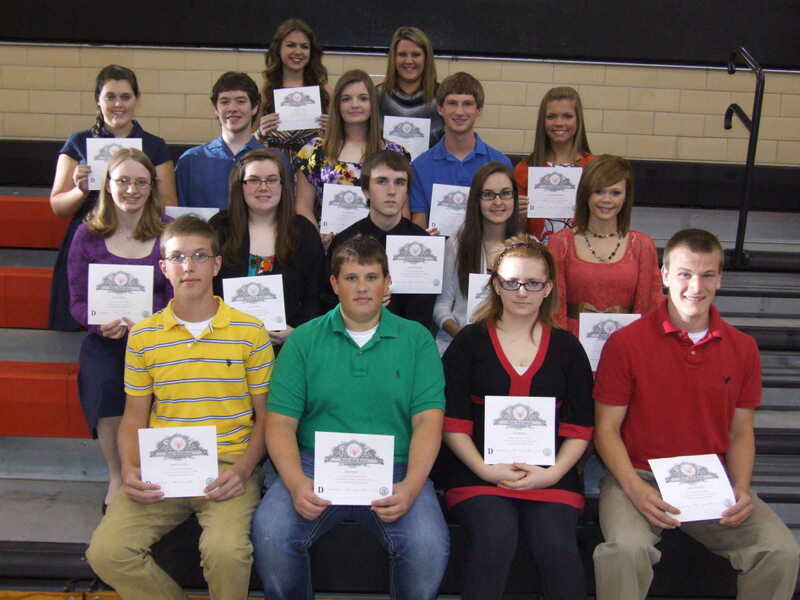 Top ten percent in the sophomore class include front row from left Keaton Altom, Will Baker, Cora Bradley, and Jonathan Foels; second row Kayla Hester, Kelsey Holder, Zachary Kester, Sophie Lebel, and Michaela Lesley; third row Ashley Long, Jacob Mier, Riley Rickman, Jacob Robinson, and Kendra Stevenson; top row Kasity Twaddell and Kali Watson. Not pictured is Chelsey Berry. 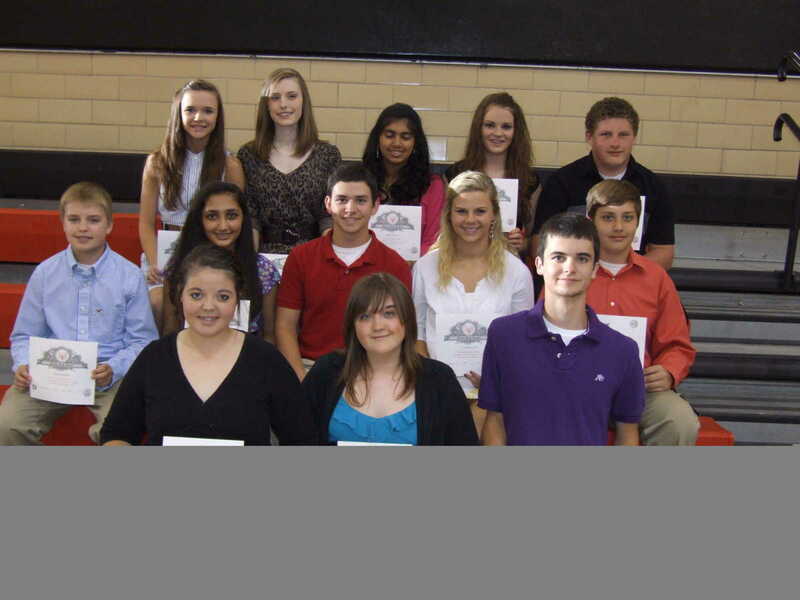 Freshman top ten percent includes front row from left Madison Christian, Katie DeWitt, and Jake Hindman; second row Dalton Manuel, Honey Patel, Sion Pixley, Courtney Potts, and Brooks Propst; third row Rachel Putnam, Kathryn Grace Reiker, Rebecca Singh, Alexis Smith, and Dakota Southerland. Not pictured is Jessica Lindsey.